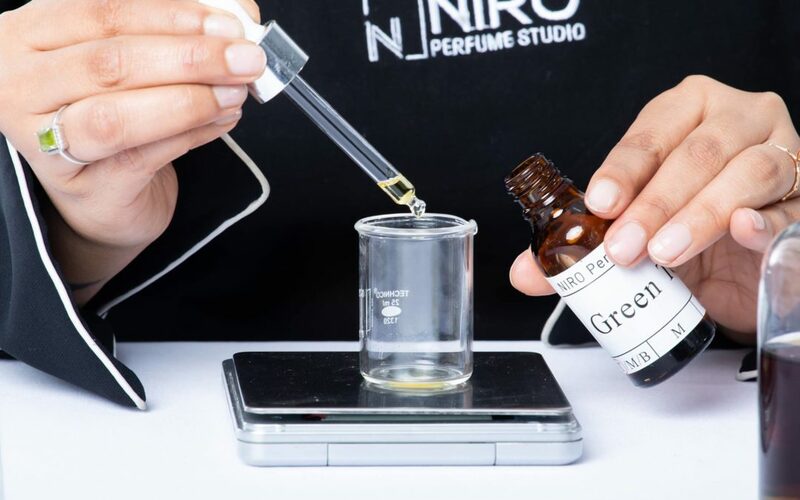 NIRO Perfume Studio creates a unique experience like no other. We take you on an olfactory journey where you get a sneak peek into the intimate mystic world of perfumes. You would experience the sublime language of fragrances and its effect on emotions and memories. We bring an opportunity to understand and appreciate a vital sense called “Smell”. This experience will initiate you on a journey of developing an understanding of what goes into making a perfume. You get a chance to blend your own perfume from basics using your fragrance memories and understanding your own fragrance personality. Participants will take home a 100ml bottle of perfume created by themselves during the workshop. You will be provided all the necessary items, apron & workbook.